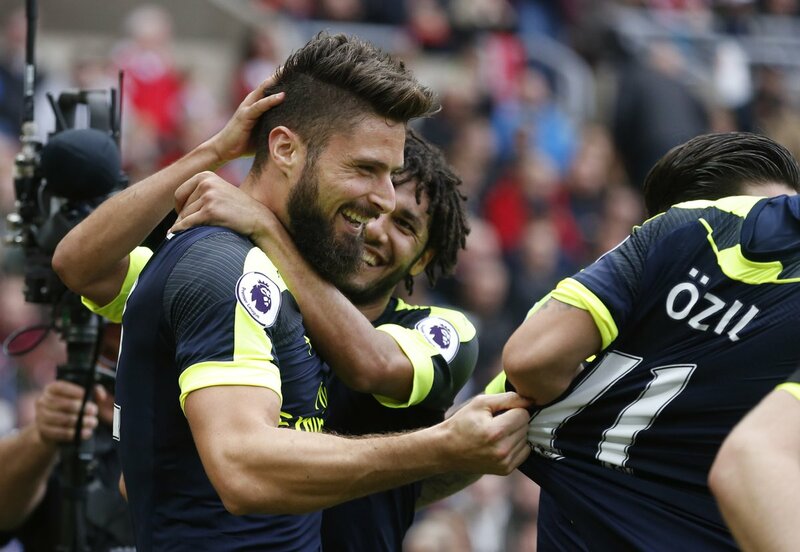 Olivier Giroud and Alexis Sanchez condemned Sunderland to an eighth defeat of the season with a brace apiece after Jermain Defoe's penalty had temporarily levelled things up at the Stadium of Light. In a meeting between the most in-form side in the country and a winless Sunderland side struggling to collect points this season, many predicted a routine victory for Arsene Wenger's side as they travelled north for this fiixture, in search of a fifth away win of the season. 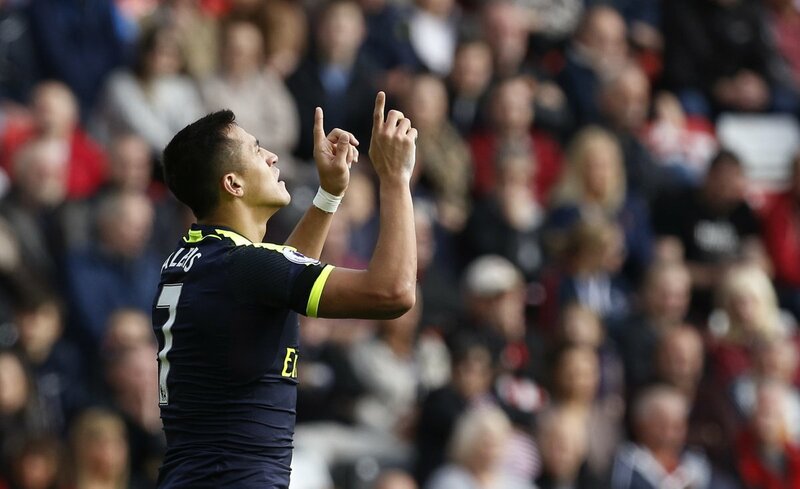 A Remembrance Sunday silence impeccably observed, and Alexis Sanchez got things underway for the Londoners. As expected, Arsenal dominated the possession for the entirety of the first half, playing with such as ease that the contest resembled a training game for parts. A series of corners resulted in Mesut Ozil fashioning a chance from inside the box, however the German's curled effort was well within the grasp of Pickford in the home net. Alexis Sanchez was the key player for Arsenal in the first period, with his jinking runs and precise through balls the starting point for multiple chances. The Chilean slipped a pass through to anchorman Coquelin, however the Frenchman's touch carried too much momentum for him to continue his surge into the box. A few moments later, a slick Gunners' passing move unlocked the Sunderland defence, as Sanchez darted in to flick a clever header into the net from Oxlade Chamberlain's whipped cross. 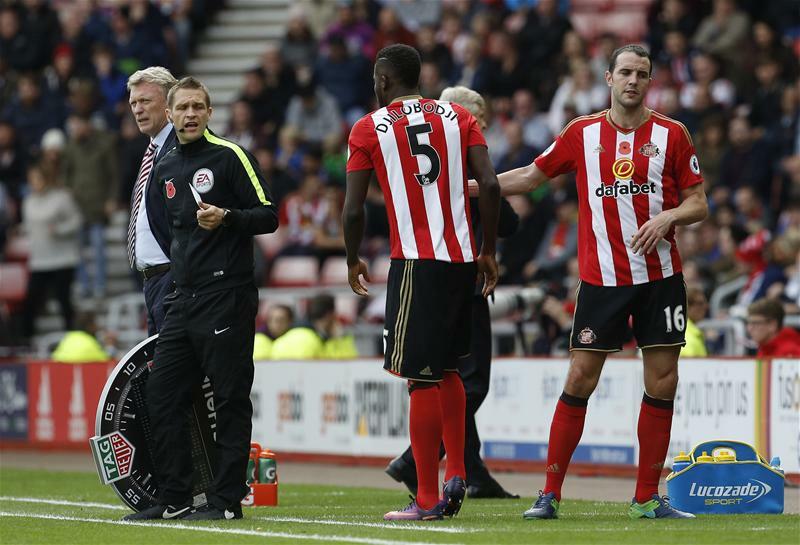 Sunderland looked to equalise instantly through Patrick van Aanholt, as the full-back's free kick swerved off target. Another opportunity went begging in the 24th minute as Defoe's effort was ruled out for offside. Sanchez shanked an effort off target before Ozil wasted a chance to lob Pickford, who had rushed off his line before retreating. The German should have done much better with the time and space he was afforded by the Black Cats' defenders. David Moyes' side came out at the break clearly with the Scot's words still ringing in their ears, as they unleashed a sustained period of pressure on Arsenal, and it proved to be the resilience of Duncan Watmore that won them a penalty after Cech caught the winger as he skipped past his challenge. Defoe stepped up to convert, sending the goalkeeper the wrong way and give the hosts an unlikely equaliser heading into the final half hour. As Sunderland began to tire, Mesut Ozil picked his pass to send Oxlade Chamberlain scapering through, but the Englishman's finish was scuffed wide. Arsene Wenger then threw Olivier Giroud into the mix, the striker was returning from a spell on the sidelines and looking to make the difference for the Gunners. And did he deliver. With his first touch on the pitch, the Frenchman volleyed in from Kieran Gibb's floated cross to give the visitors the lead once more, before he struck again to effectively end the contest with a dominant, powerful header from Ozil's corner. As the Sunderland fans began to stream out and head for the exits, a calamitous sequence of errors allowed Sanchez to finish the job he had started so well, slotting home from a yard out after neat footwork to keep hold of the ball in a goalmouth skirmish. The result sees Arsenal top the Premier League standings, with Manchester City and Liverpool holding a game in hand on the North London side. As for Sunderland, another defeat leaves them 5 points adrift at the foot of the table, having also played a game more than their relegation rivals.